Decotech is dedicated to reducing, not only our energy usage, but also the waste stream from our facility. We strongly believe that every little bit counts. With a dedication to excellence, stewardship and leadership, we protect the environment and the health and safety of our employees and members of the community. Replacing paper towels with HEPA filtered hand dryers in all the restrooms to eliminate that paper waste. Changing facility sink faucets to low-flow motion-sensing systems in order to reduce our water waste. Educating employees to bring lunch to work in reusable, rather than disposable, containers. Converting paper-based management systems to “accessible-from-anywhere” web-based systems to effectively reduce our reliance on paper. Eliminating the use of paper cups and plates throughout our facilities. All glassware and tableware is cleaned and re-used to reduce waste. To help reduce the stream of waste from our glass manufacturing facility, we have become a Zero-Waste-to-Landfill compliant company. We never send our waste materials to decompose in a landfill, but instead re-use, recover and recycle our materials whenever possible. Reducing the amount of waste and gas emissions produced by our facility. In 2009, Decotech became an ISO 14001 certified compliant company. The ISO 14001 standard is an Environmental Certification provided by the International Organization for Standardization (ISO). In addition, we also maintain a joint ISO 9001 Quality Certification and ISO 14001 Environmental Certification. View our ISO 14001:2004 Certificate. Glass can be continuously recycled and not lose its quality. Glass can be recovered and recycled to make new glass products. Glass has an almost zero rate of chemical interactions. At Decotech, we aim to be a model of responsible capitalism by providing dignified work, embodying socially and environmentally responsible business practices, committing to continuous improvement and producing things that add beauty to the world. 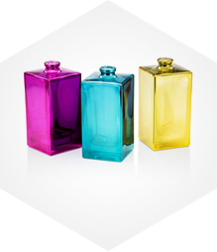 For close to half a century, Decotech has provided glass packaging decoration services for the finest fragrance, cosmetic, tabletop and giftware houses in the world. At Decotech, we are confident that we can help you make your packaging vision a reality. Get started on your next packaging project by contacting Decotech today. 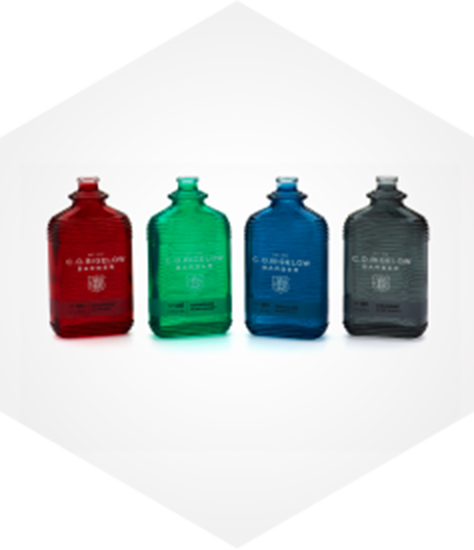 Call us at 201.569.1900 or fill out our online contact form to learn how we can provide solutions for your glass packaging needs.